Fast, Easy, and Yummy Holiday Treats for Your Family! Fast, Easy, and Yummy Holiday Treats! Easy to prepare, no bake time and only three ingredients! The kids will enjoy crushing the candy canes in a gallon size baggie. We love making this with any remaining candy canes from our tree before we take it down! We get the traditional peppermint candy canes…but this might be good with other flavors as well. microwave the chocolate chips in a glass bowl until just about melted (about 1 ½ minutes) stir with spoon until silky. Add crushed candy cane and peppermint extract! Spread on cookie sheet lined with wax paper and let harden (about 15 minutes in freezer) then break apart and eat. These freeze well. These are easy and always a hit with both big and little kids! 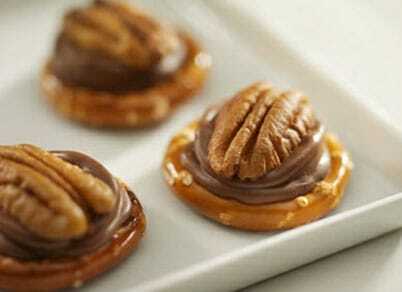 if you like the turtle chocolates, you will love these! There are only three ingredients, and the kids will love putting the pecan on top! Lay the pretzels out on a cookie sheet and top each with a Rolo candy. Put in oven for 3 to 5 minutes. Take out and lay a pecan on top of Rolo and press down. That’s it! These guys are extra cute and extra easy! No cook time and three ingredients! Let the kiddos help out with this one, they will be so proud of their finished snowman! Great treats to take to the school holiday party! Found this on Sandy Duffy’s Pinterest site under Holiday foods! There is also a reindeer version using chocolate donuts, gumdrops and pretzels! Simply lay donuts on serving platter and place the candy corn bottom side down into the hole then make eyes and mouth with chocolate chips by pressing slightly into donut! Simply dot eyes, nose, mouth and buttons with marker. Tie a scarf around neck and glue on hat! 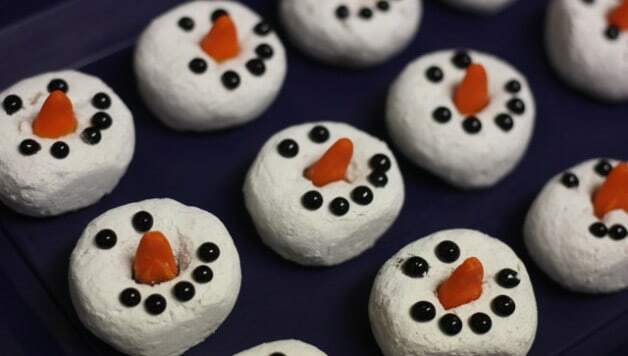 These are not only adorable and easy but super healthy as well. The kids can help put these fruit kabobs together and they will look perfect! Thread the toothpick with the grape at the bottom, a banana slice, strawberry and mini marshmallow on top. Too cute and too easy! Cheese and Grape Tomato Christmas Tree! Make your next cheese platter festive and fun for the holidays! Simply alternate ingredients in the form of a triangle shape for a beautiful and tasty Christmas tree display! Varieties of cheese cubes or a all of a favorite!! Make a triangular Christmas tree shape on a serving platter and then alternate rows of cheese and grape tomatoes adding a line of green sprigs after each. Begin and end with the cheese cubes. Adorable and artistic and anyone can do it! 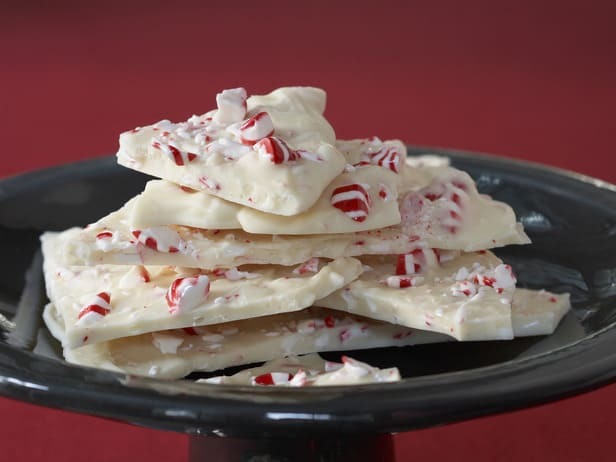 Fast, Easy and Yummy Holiday Treats the Kids will Love to Eat and Help Prepare!